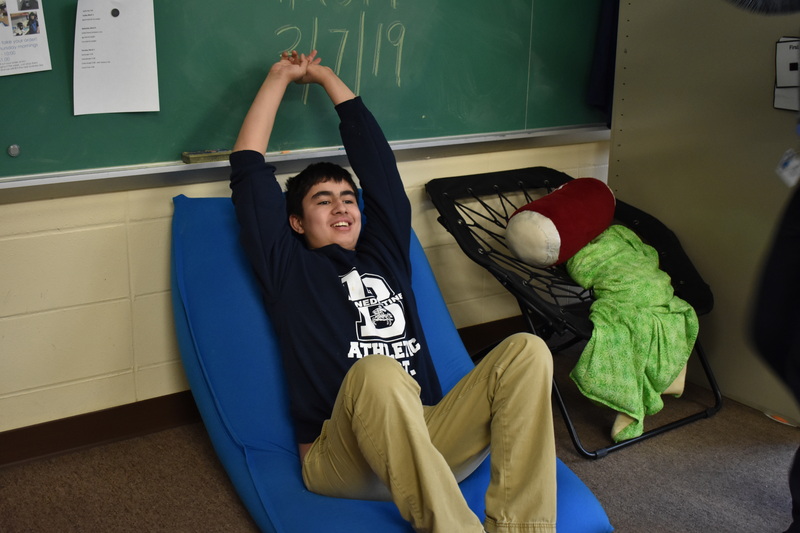 RIDGELY, Md., (March 15, 2019) – A recent Freas Foundation grant funded therapeutic seating for each of Benedictine’s special education classrooms. The project to purchase specialized seating for 13 classrooms along with two adaptive tricycles designed for people with physical disabilities, was supported by the $7,500 grant award. 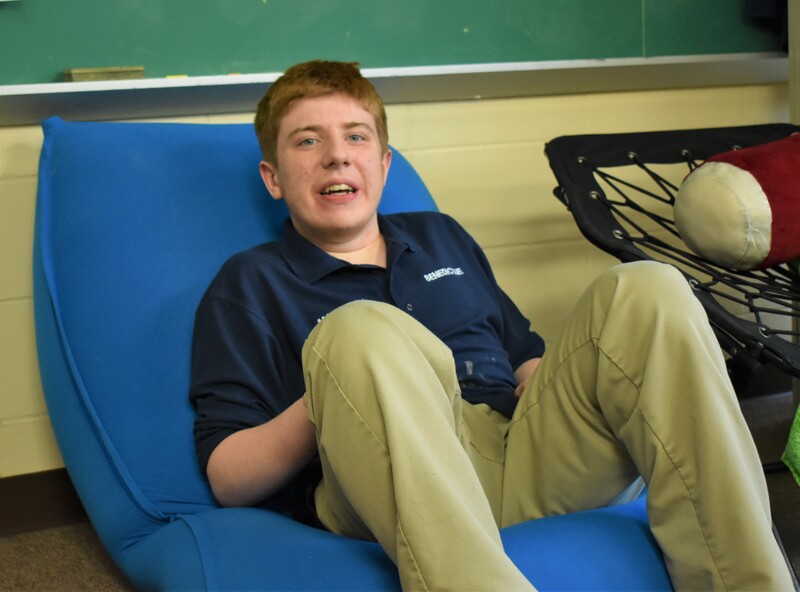 Specialized seating benefits the more than 60 Benedictine students, many of whom have Sensory Processing Disorder, in addition to physical limitations, Intellectual Disabilities and/or Autism. Designed for individuals with multiple disabilities, the new seating options help to calm students and enhance their focus and attention. Students now have access to Yogibo zero-pressure point seating, which resemble bean-bag chairs, helping students with SPD feel more comfortable and secure in their classroom environment allowing them to be more available for instruction. Students can also use NeoRok active seating wobble stools which provide gentle movement allowing students to rock back-and-forth and benefit from the additional stimulation. Grant funds were also used to purchase two Rifton tricycles. These adaptive tricycles provide relaxing recreational experiences for students, while helping to develop coordination and balance, increase leg strength, and use visual and spatial perception to steer. For indoor or outdoor use, the tricycles are often medically necessary for children with disabilities who cannot walk or who sit for long hours while in a wheelchair and they ensure all students have options for exercise.